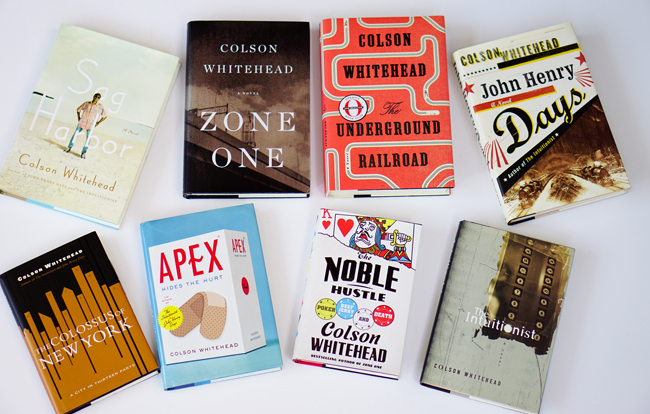 Colson Whitehead published 8 books between 2000 and 2016. 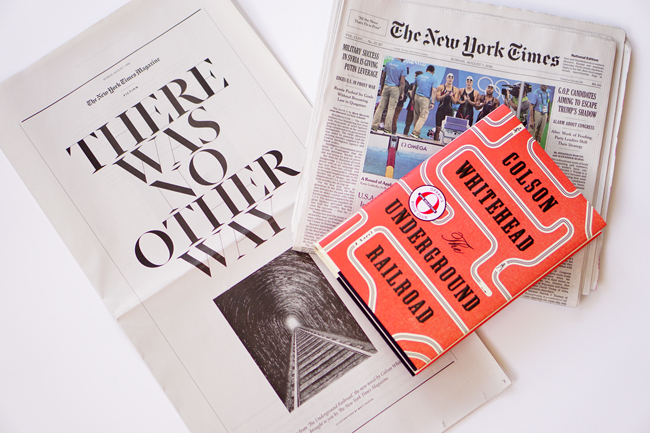 I recently finished Colson Whitehead's newest novel, and like many other readers, I found the book really powerful. Eventually, I'll write on it in more detail, but for now, I wanted to take the time to look back. 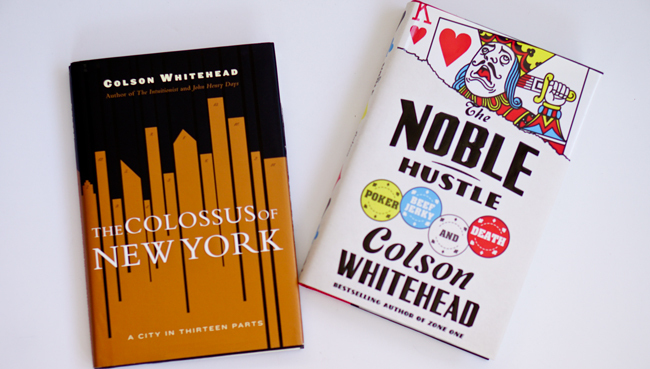 As always when I read a new Whitehead book, I try to reflect on all of his books: The Intuitionist (1999), John Henry Days (2001), The Colossus of New York (2003), Apex Hides the Hurt (2006), Sag Harbor (2009), Zone One (2011), The Noble Hustle: Poker, Beef Jerky & Death (2014), and The Underground Railroad (2016). 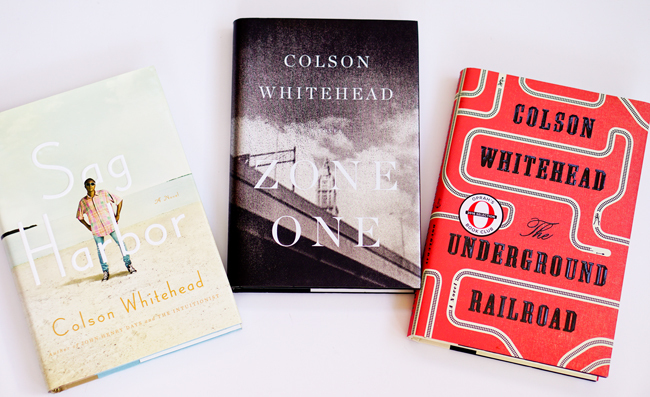 I first came across Colson Whitehead's work in 2000, while I was a graduate student at Pennsylvania State University. I was visiting a friend in Brooklyn, New York, and she had the paperback edition of The Intuitionist. She informed me that the author "is a Brooklyn writer." People had been mentioning him, so she wanted to check him out. 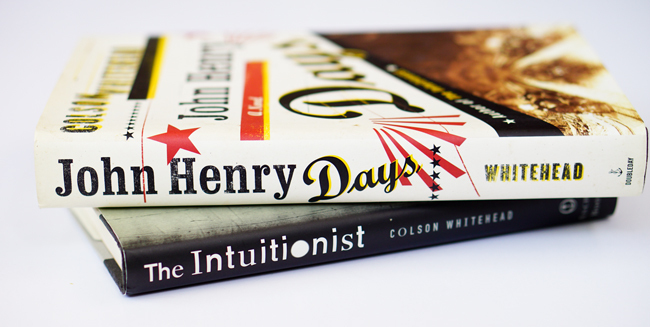 Colson Whitehead established himself with his first two novels, The Intuitionist and John Henry Days. When I returned to Pennsylvania, I got my hands on the novel and began reading. I was intrigued, and started trying to write notes here and there on why I found the book and writer fascinating. In 2001, I purchased Whitehead's second novel John Henry Days shortly after it was published. One-fourth of the way into John Henry Days, I took note of how comical Whitehead was as a writer. Had I misread and taken him too seriously while reading The Intuitionist? There were perhaps, I figured, more jokes in that book than I had initially realized. Either way, the complexity of John Henry Days made me realize that Whitehead was hardly a one-hit wonder. Up next was The Colossus of New York. I thought of this one as Whitehead's 9/11 book. It was a kind of ode to his city. I sensed his affections for NYC when I read The Intuitionist and noticed how elaborate he was in his descriptions of the city. Colossus, a kind of experimental nonfiction book, offered an even more extensive portrait of the grand metropolis. He got back to fiction in 2006 with the publication of Apex Hides the Hurt. That novel focused on a nomenclature consultant, that is, someone who comes up with names for various products. I enjoyed Apex, but I realized that the reception to that one was less pronounced than his previous novels. In 2009, Whitehead wrote a fictive memoir, Sag Harbor, about these "black boys with beach houses." The writing was strong and compelling as always, and reviewers expressed strong interest in the book. Sag Harbor was published just as summer got underway, and the book introduced Whitehead to an even wider audience. In 2011, he released Zone One, his take on the zombie genre. I really enjoyed the many jokes and many, many social critiques weaved throughout the novel. Generally speaking reviewers gave the novel high praise, but avid zombie fiction fans seemed to dislike the slow pace of the novel and the lack of more violence and action. The New York Times produced a print-only section featuring an excerpt from The Underground Railroad. And now, there's The Underground Railroad. As pre-publication news of the novel began circulating, I figured that this novel would do really well. Early reviewers expressed considerable excitement about the book, but I can't say I predicated one of the most notable aspects of the reception. On August 2, Oprah Winfrey announced that Whitehead's book was the selection for her book club. Her endorsement ensures that this book would become his most widely known. On Sunday, August 7 The New York Times published a standalone section of the paper featuring a long excerpt from Whitehead's novel. Reviewers offered overwhelming praise for the book.